What does a level 90 Paladin, work and volunteer experience, and a cover letter all have in common? They can all be found on your resume. Gamers aren’t just wasting their time leveling up characters and raiding in MMORPG (massive multiplayer online role playing games) games such as World of Warcraft (WoW) or board and role-playing games such as Dungeons and Dragons. These games are helping people develop and exercise a multitude of skills that employers are looking for, according to several experts. “It does instill teamwork, organizational leadership skills all the way down to certain reflexes, creativity, how to work well with others – all of the kind of stuff that goes in to a really strong employee,” said Matthew Grabinsky, a game development professor and program co-ordinator at Durham College. Those types of games can bring out the best in people, he said. Leading a raid of 20-40 people is a challenge for most but with practice they learn how to deal with people, strategize, work as a team, problem solve and lead a group of people. There is sometimes a stigma with gaming and that is why a resume can’t just showcase gaming information. That may be all the employer will see – a gamer. That stigma does need to change and it won’t if gamers stay quiet about the value in the game, said Mary Noble employment advisor at Durham College. “This is a great way to take what’s potentially perceived as a negative and turn it into a real positive,” she said. With experience from other avenues and gaming experience it can help make a resume stronger, said Noble. “ I think that society as a whole still has mixed opinions on the worth of video games. The old habits of generations before us that saw them negatively are hard to break,” said Kathleen Hilburn, a WoW gamer from Moscow, Pennsylvania. The movement is slowly changing and becoming more accepting of video games and seeing their value, said Grabinsky. But Ramsay thinks it will be 5-10 years before it becomes more commonplace. “As we still have baby boomers still in charge of most businesses they are not adapting as fast to changes,” said Ramsay. Ramsay suggested if you are going to put it on your resume put it in a hyperlink in the accomplishment section. The resume will then open the conversation about the skills that can be acquired with gaming. There have been people who have gotten mixed responses about gaming on their resumes. “I did actually get a job over someone else who I was matched with educationally because under hobbies I put playing video games which it turned out the boss did too. So [I] had a little more in common with the boss than the other guy would have,” said Gareth Fido, a Wow Gamer from Folkestone, Kent in the United Kingdom. Everyday people aren’t the only ones getting jobs with video games on their resume. Stephen Gillet, former chief information officer of Starbucks and COO of Symantec, is a known gamer. Gillet told money.cnn.com he brought gamification into recreating Starbucks with the point system, achieving and unlocking new goals and discounts. “I think gamification and the way of thinking about it is applicable to any industry,” said Gillet in the June 2014 interview. Francoise LeGoues the former vice president of IBM told OnlineWSJ.com that gamers are good assets because they are able to interact with people without ever meeting them in person. There will be people that don’t take video games on a resume seriously but explanation and understanding might change their mind, said Noble. Gaming isn’t something that is widely accepted but that’s changing. Resumes are starting to level up one Druid at a time. 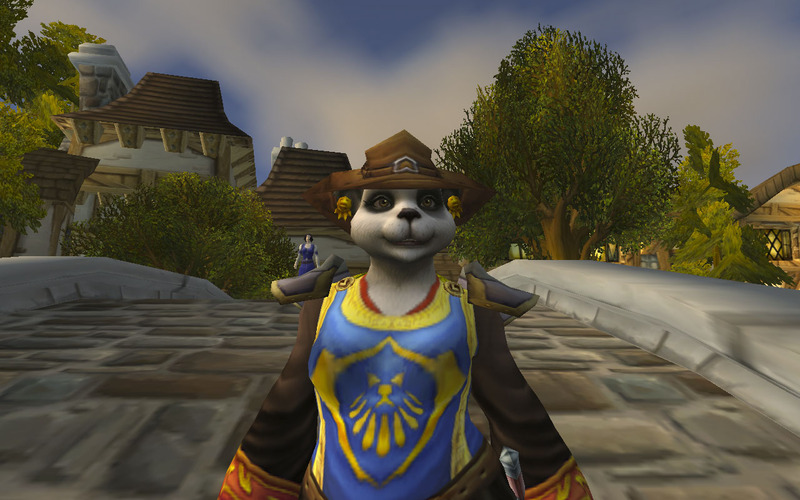 While I would never add my WoW credentials to my resume simply because I work in the construction industry and I don’t come upon many other WoW players, I can totally see the value in including some of them. Some might say that’s silly, but there’s a lot of hard work, dedication, and teamwork to be displayed in playing WoW with a serious guild.